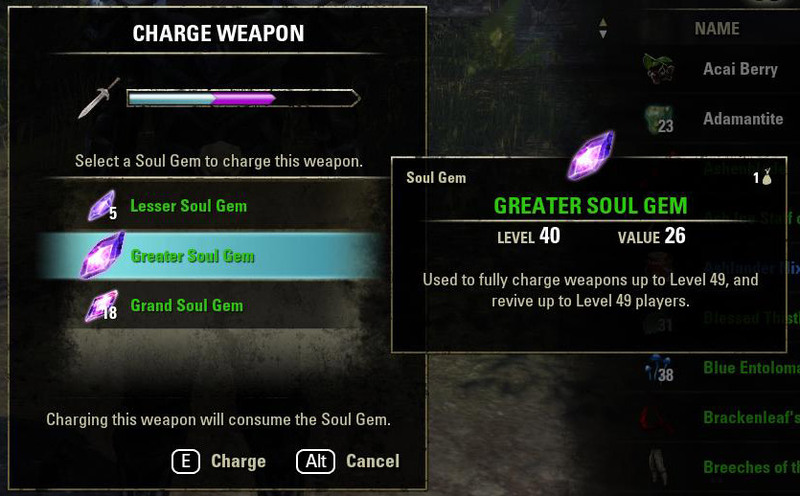 Soul Gems are special items in Elder Scrolls Online that allow to trap souls of enemies. If you played previous TES games you know that these items are used for charging magical weapons. In ESO they are also used for this. But there is one extra way of usage: you can use them for resurrecting yourself after death or for resurrecting your allies. There are two types of Soul Gems in ESO: empty and full. Full contains someone’s soul, while empty does not. If it is full, its title is written with green. Only full gems can be used for resurrecting or charging weapons. There are different weapons to obtain gems. The easiest way is to visit Mages Guild and purchase them there. The cost of empty gems is not high, while full usually cost a lot. 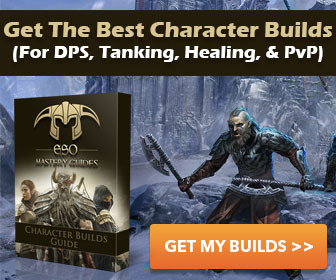 If you don’t want to spend your money, visit different public dungeons and world bosses. Every boss will reward you with a gem after you kill him. They usually drop one empty and one filled gem. Use special skill from Soul Magic skill line called Soul Trap. This skill is DoT that deals damage and captures the soul if enemy dies while this spell is active. If the enemy dies after the effect of spell ends, there will be no result. This is the best way to fill soul gems and it works very good. Use Soul Lock passive from Soul Magic skill line. This passive adds a small probability to capture energy of the soul every time you kill enemy with weapons (not with magic). That’s pretty nice passive because it will sometimes fill your empty gems. Every enchanted weapon has special effects. For example it deals frost or flame damage, grants damage shield and so on. These effects only work if the weapon is charged. There is a special scale that shows how many “magicka” is left inside that particular weapon. If there is no power, extra effects will not work. Different gems can provide your weapon with different amount of power. If you have high level weapon Petty and Lesser gems are useless because they will not give enough power. By using them on high level weapon, you will be able to charge only about 5% of the total weapon’s pool. High level weapon require Greater or Grand types. They will charge the pool fully and you will be able to use the weapon without recharging for relatively long time. Watch the video guide below to find out how to farm grand gems at very low cost! This guide will help you a lot.